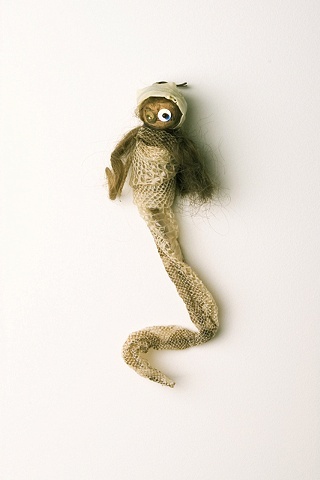 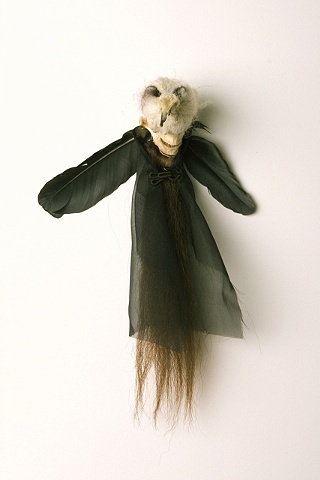 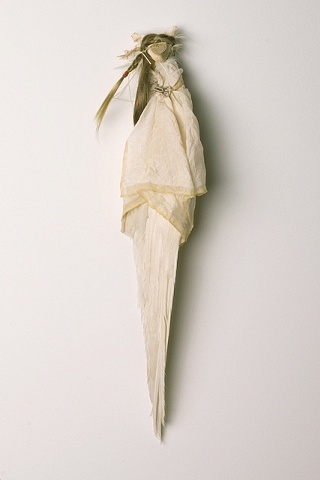 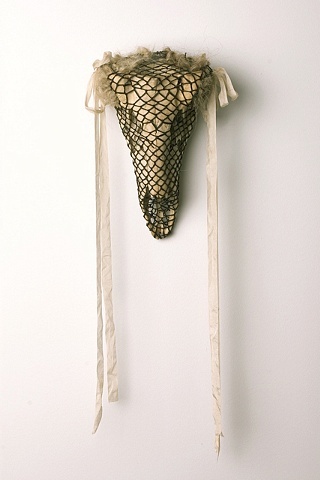 With these works, my practice expanded to the universal, encompassing spiritual taboos in a study of organic ‘poppets’. 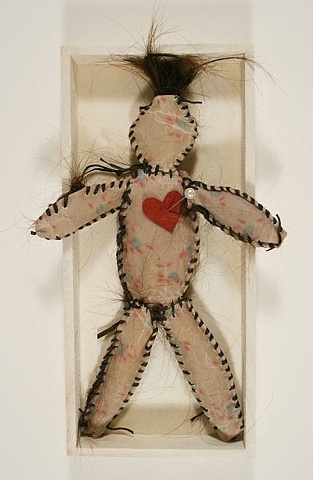 Imbued with magical properties, the dolls resonate with creative process and draw the viewer into an interior place of mystery/ fear. 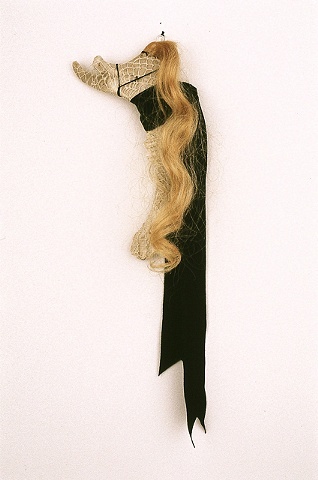 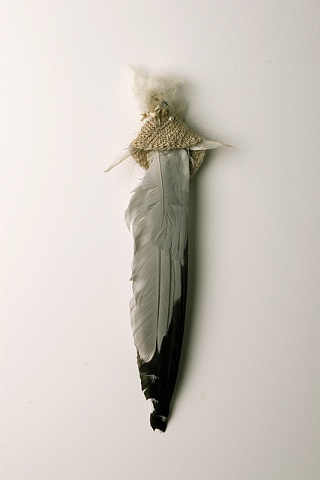 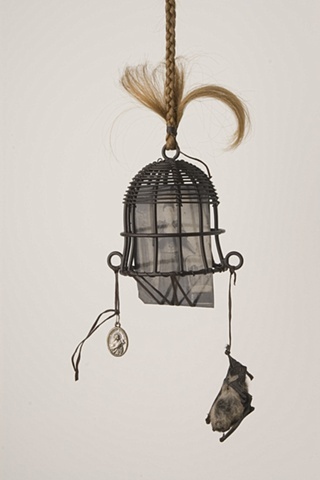 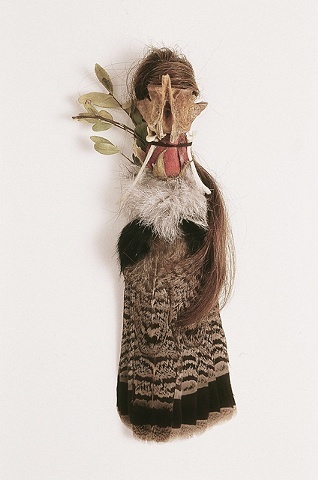 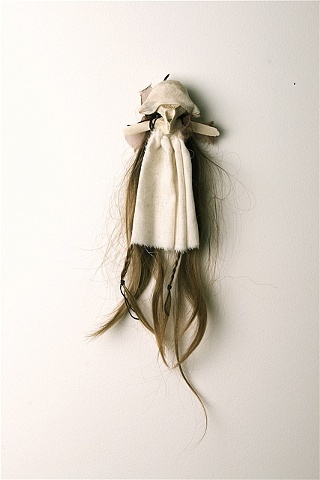 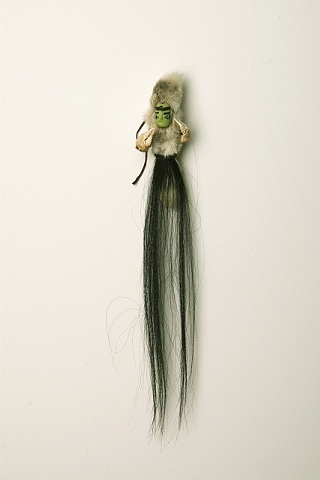 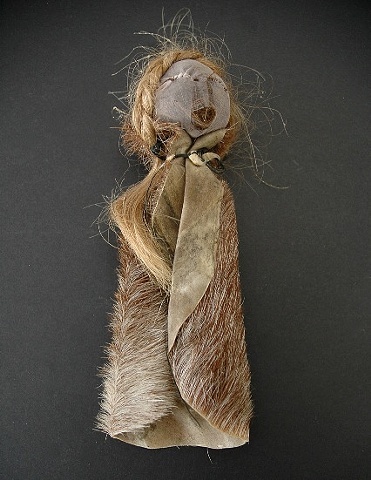 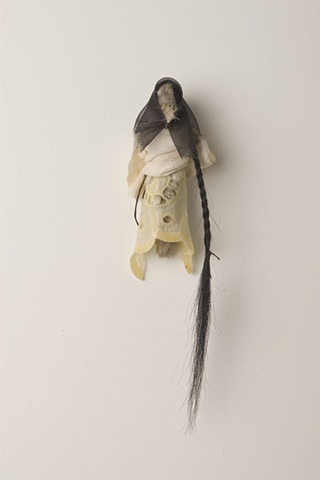 These works expose the kinds of superstition and paranoia experienced around disembodied hair. 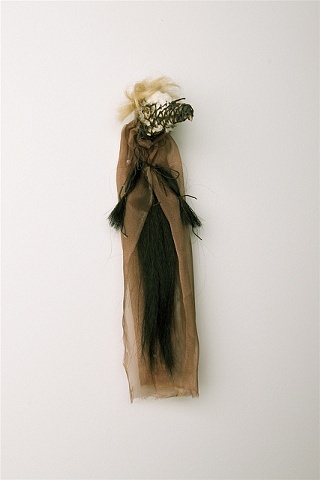 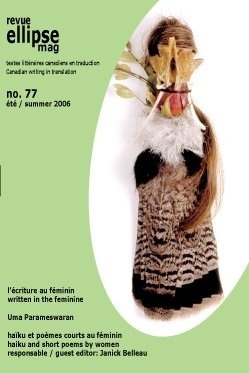 Giving the hair new bodies amplifies its power of presence, which must be reckoned with by ones own understanding of spirituality and corporeality. 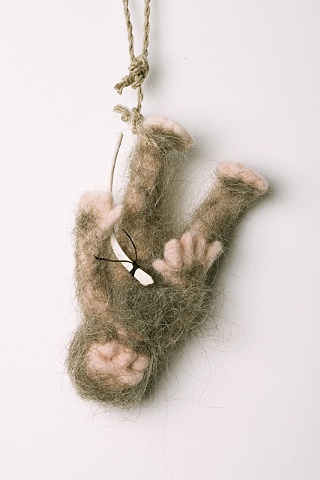 There were approximately 75 poppets created in total. 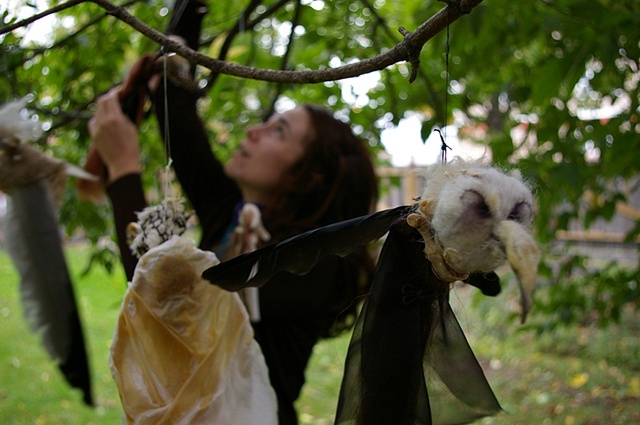 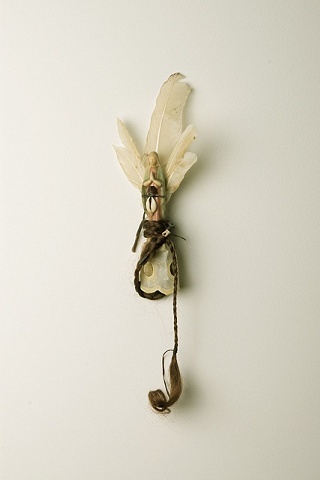 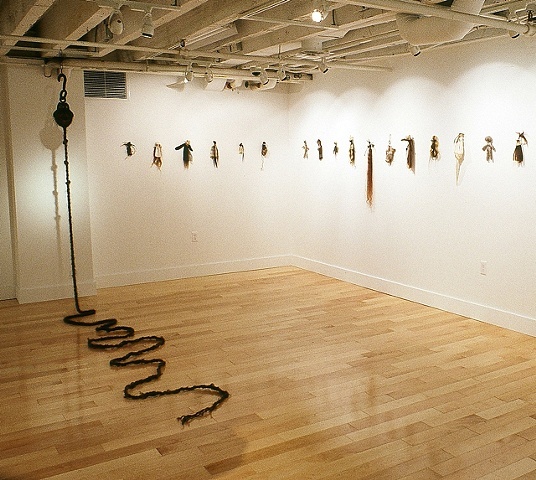 Beautiful/Grotesque (solo show) installation shot of Contagion Poppets and Pull Cord (hair rope).